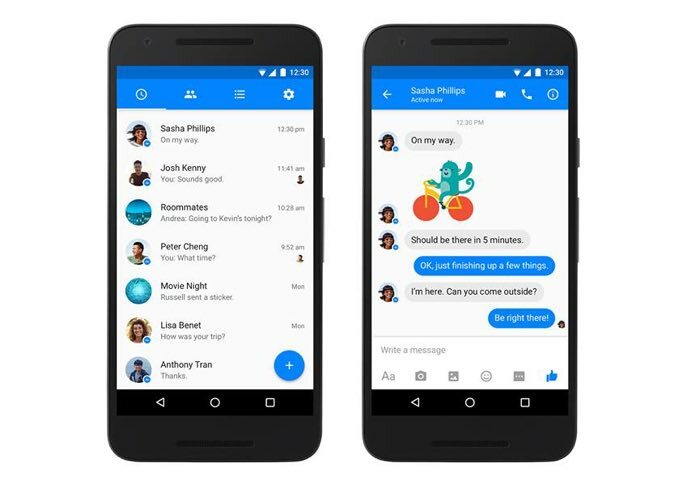 Facebook Messenger for Android has been updated and it now supports Google’s Material Design, the news was announced by David Marcus, who is the head of Messenger at Facebook. The company said that they took their time to get the design changes right, you can see what David Marcus had to say below. If you’re using Messenger on Android, you’ve been wanting a brand new material design for a bit. Any major redesign of an essential app used by hundreds of millions of people around the world is painstakingly hard, and that’s why we took every precaution to ensure you’d truly enjoy this evolution. This brand new design will be rolling out later today! As always, give it a try, and let us know what you think, and how we can make it even better for you! The new material design is now available in the latest version of Facebook Messenger for Android, you can find out more details over at the Google Play store at the link below.